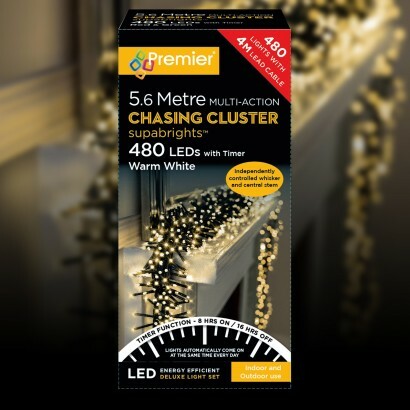 A sparkling cluster of 480 LED fairy lights in beautiful warm white, these chasing cluster lights have a unique "stem and whisker" system with two separate wires of light running from a single control box twisted around one another for maximum cluster effect. 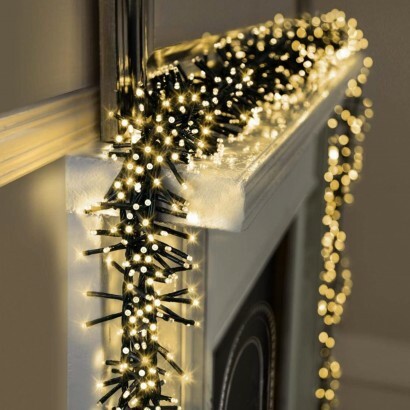 The "stem" of the light string has slightly larger LEDs with a 6cm spacing whist the "whisker" light string has slightly smaller LEDs with a much smaller 1.5cm spacing and each light string is controlled independently using the remote control included. 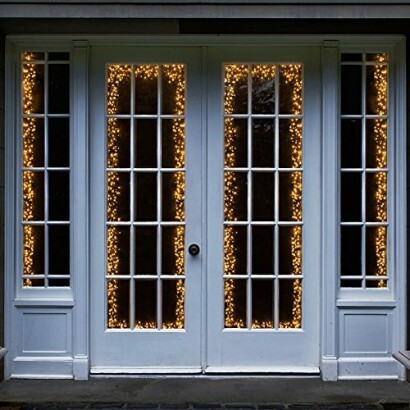 Multi function with a memory, choose the speed of the flash or the static function on each light string independently so that the two stems compliment each other for truly mesmerising light effects. Suitable for use indoors or outdoors (with a protected socket) these magical fairy lights have a timer function too so that they automatically switch on at the same time every day (on the previous setting) for six hours at a time before switching off again for eighteen hours, and with 480 LEDs packed into 5.4m of illumination, they're guaranteed to make a huge impact!